I just posted my interview with Bruce Epperly about his new book Jonah: When God Changes on the Energion Discussion Network. I’m going to embed it here as well. I want to call attention to it along with Bruce’s next most recent (!) book Ruth & Esther: Women of Agency and Adventure. Sometimes we get different pictures of God from the narratives of scripture than we do from the affirmations. I don’t think the narrative should be neglected. We often geld the narrative in order to keep it from challenging our existing perceptions of God. But those perceptions frequently are desperately in need of a challenge. What happens when the good guy finds himself on the wrong side of everything (Jonah)? What if two Jewish characters survive in a foreign court in completely different ways (Daniel and Esther)? What if there’s a woman in David’s genealogy (and in Jesus’s) that really shouldn’t be there? Can a perfect, sovereign God regret things? If not, what actually happens at the beginning of Genesis 6? On the Energion Hangout tonight at 7:00 PM central time, we’ll be discussing the topic of violence in the Bible, with a particular emphasis on the Old Testament. But as participant Dr. Alden Thompson will doubtless remind us tonight, there’s violence in the New Testament as well. Alden Thompson is author of the very first title in the Energion catalog, now in its 5th edition, Who’s Afraid of the Old Testament God?. Joining Alden will be Dr. Allan Bevere, author of The Character of Our Discontent, a book that resulted from his decision to preach from the Old Testament more, even though he’s a New Testament scholar. I’ve known Alden Thompson for a long time. He was my professor for two years of undergraduate Hebrew and for my first quarter of Aramaic. 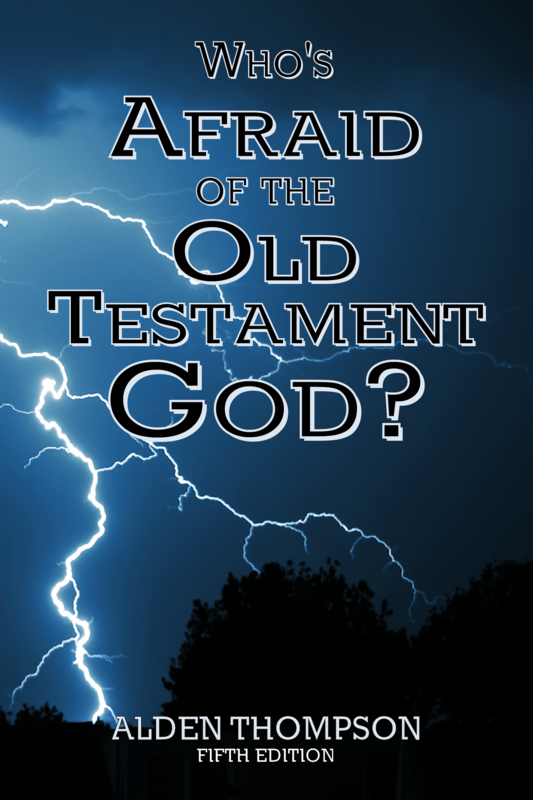 It is no accident that Who’s Afraid of the Old Testament God? was first in the Energion catalog. It was out of print and I ask to reissue it because I wanted to use it in my own teaching. I would say, in fact, that Alden is one of the major reasons why, despite all the doubts I’ve had over the years, I’m still a Christian. No, he didn’t prevent me from leaving the church following seminary, and I’m no longer a member of the same denomination, but the kinds of approaches to the various problems in both biblical studies and theology have stuck with me. In addition, I use some of the approaches he teaches, both to inspiration and to dealing with diversity in the church, quite frequently. Alden takes a kind and gentle approach to working with those who disagree, no matter what their perspective. He’s careful with questioners’ faith, while still being willing to take their questions seriously. I met Allan Bevere more recently, through the medium of blogging and then of print publishing, but I’ve also developed a friendship with him. Allan takes orthodox Christian doctrine seriously and is a pastor first and foremost. He is also an adjunct professor, and helps prepare other pastors. Tonight I intend to challenge both these scholars regarding difficult passages of scripture. Can we bypass the violence? Can we look at some aspects of scripture as just plain wrong? If not, how do we deal with such passages as Numbers 31? I think this discussion will be lively and lots of fun! Allan R. Bevere is hosting a response from L. Daniel Hawk to Adam Hamilton’s three part series on the violence of God in the Old Testament. It’s a topic I find fascinating. I’m going to wait for detailed comment until I’ve read all of Dr. Hawk’s response. But I can tell you what I’m looking for in two quotes. Note that this is extracted from the middle of a paragraph which may contain pointers to how Hamilton would answer the question. I have not read his book. But the issue that this statement raises with me is this: Do we have an adequate hermeneutic that will allow us to discern God’s will and purpose from the human-divine mix? In my experience, very frequently those who say this do not. Note that I’m very definitely one who says that the Bible is a divine-human combination, using an incarnational model. But that combination (not mix), is all present by divine will. Why are those violent passages present? How do I learn from this? Here’s the main flaw in this line of reasoning. Who decides which texts are humanly-contrived and which are inspired? And on what basis? This is a slippery business to say the least, and especially so when historically-oriented interpreters attempt to ground their decisions by discerning the intent of ancient authors and redactors. While we have learned a great deal about the historical and cultural environments of the ancient world, we cannot even today confidently locate the composition of most texts in a particular historical and social context. Furthermore, our ideas of what was in an ancient author’s head will inevitably be infused with the projections of our own ideas and perspectives. This time I at least quoted a full paragraph. And what’s my problem with this? Well, in my experience both sides pick and choose and then accuse the other of doing so. There is not only choosing what we accept as relevant, but we need to choose just how some particular passage is relevant. I’m going to wait for the rest, but I doubt Dr. Hawk is suggesting otherwise. Nonetheless statements like ” … our ideas of what was in an ancient author’s head will inevitably be infused with the projections of our own ideas and perspectives” tend to get me on edge, because I am so frequently then told that either we must then accept the orthodox interpretation (also selected by the speaker), or that we must essentially give up on discerning the meaning. I have some confidence that Dr. Hawk isn’t headed that direction, yet paragraphs such as this raise an attention flag for me. I ask here again just how we will discern the message God intended, and discussing the obscurity of it can drive people away just as much as the attempt to discard the humanity. I’ll say more when I’ve read the final post. I may have to read a couple of books as well, considering that what both of these men are saying comes from much more extended works on the topic. I have somewhat of a tradition of reflecting somewhere on my blogs about books I am about to publish. So today I want to look at Allan R. Bevere’s new book The Character of Our Discontent. Allan is a primarily New Testament trained preacher who has decided to take on some major passages in the Old Testament in preaching to his congregation. In turn, he has collected them to share with others. My friend Alden Thompson, who is author of Who’s Afraid of the Old Testament God?, also from my company, generally leads off weekends of discussion of the Old Testament with a litany of the reasons that people don’t like the Old Testament. He then takes a look at the Old Testament in the New, and especially in the teachings of Jesus and then he’ll say something like: “So you may not like the Old Testament, but Jesus did!” Now he says it so nicely that nobody is offended, but he certainly catches people’s attention. I specialized in Hebrew and ancient near eastern literature, so I tend to lean toward the Old Testament in my own study and teaching. But amongst those who teach outside the seminary, that is all too rare. I had a conversation just days before I accepted this manuscript for publication. A pastor with many years of experience lamented the lack of collections of good sermons, sermons that could provide an example to new preachers. I had to agree with him. In my experience, many people end up as pastors with much too limited knowledge and experience in some of the basics. I think preaching is better taught in most seminaries than subjects such as prayer, spiritual gifts, or even church management, but nonetheless there is a great value in having more material that covers some of the basics. So I found this combination irresistible, even though sermon collections often have poor track records for sales. There are two values in this collection that I want to emphasize. First, these sermons introduce some Old Testament characters and situations in a way that is easy to understand. They are worth reading on their own. This book isn’t heavy reading. 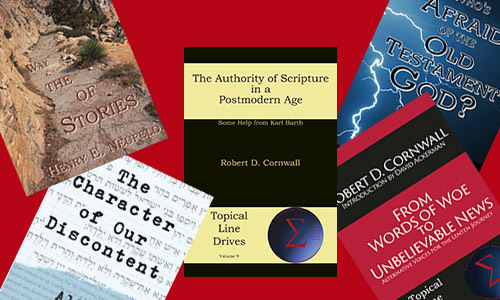 You could read one of these sermons for a quite reasonable devotional. Second, they provide examples for people who may be afraid to start preaching from the Old Testament because they didn’t specialize in it. Now these are not sermons that come from hasty or light preparation. What they are is solid sermons that come from a non-specialist who put in the time to produce a good sermon on each topic. The presentation is easy to follow. The illustrations are good and to the point. You’ll find yourself directed to some good resources as you read. Allan doesn’t try to solve all the problems of Old Testament interpretation. What he does is apply some of the principles and lessons of these passages to the people found in the pews today. I’ve mentioned some books that I agonized over before publishing. I’ve even had some I expected would offend some folks. I didn’t have to agonize over this one. I was certain almost from the start that I was going to publish it. Oh, it might offend you in some places, though if so I’d take it as conviction. Some of those Old Testament characters provide quite a challenge to our very un-heavenly way of life here in the American church. So if you’ve been neglecting the Old Testament, here’s a chance to remedy that situation. My wife tells me that she feels that before she started getting involved in reading and studying the Old Testament she feels she was missing out on half the power God had for her in his Word. An Old Testament-neglecting Christian is a contradiction in terms.